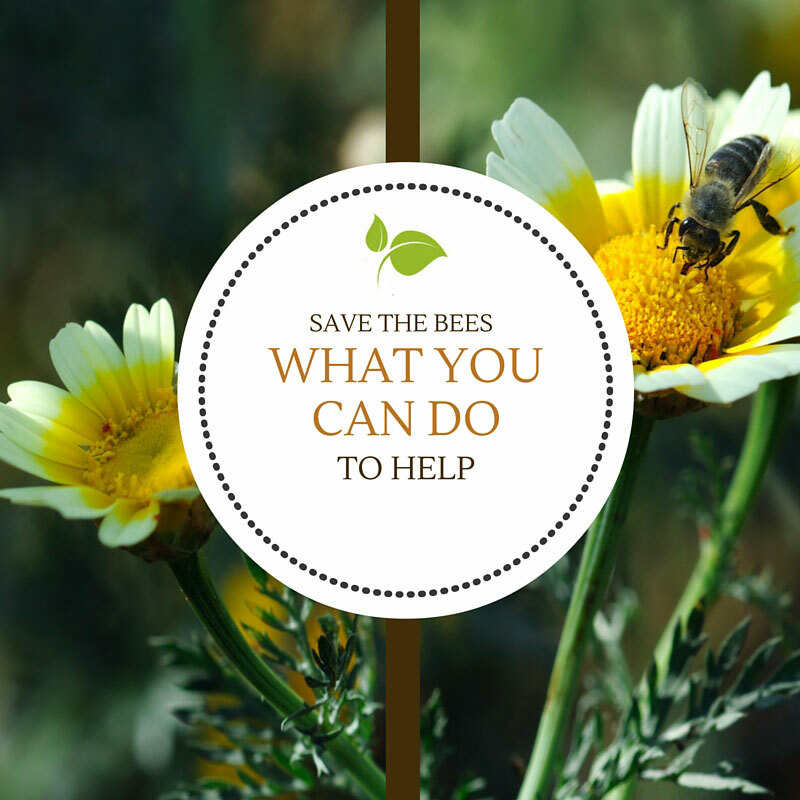 Save the Bees – What you can do to help. Honey bees, bumblebees, and other bees are disappearing at alarming rates, and they need your help! As gardeners, it is our responsibility to reach out and save these yellow pollen-dusted bees from extinction. Bees play a vital role in pollinating over 150 crops grown in the US each year, which equals at least every third bite of food you take each day. Bees pollinate some of our primary food sources such as apples, blueberries, citrus, melons, pears, plums, pumpkins, and squash. Bees also pollinate plants fed to livestock, as well as fiber-producing plants such as cotton, one of South Carolina’s leading crops. It’s essential to our health and our food supply that we take an active role in preserving the plight of the honey bee. Whether you live in the city or in the country, there are a few ways you can attract bees to your garden and help save these little workhorses from disappearing. Plant bee loving plants native to your area. 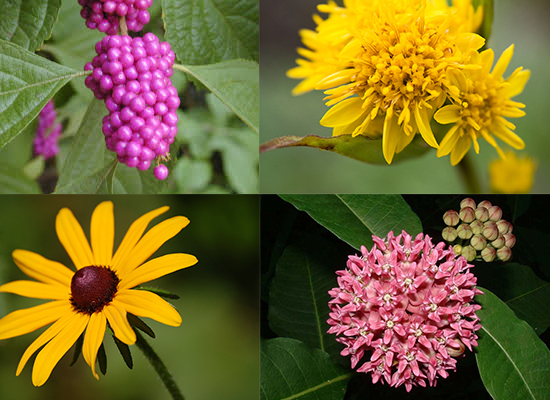 In South Carolina, plant native bee balm, coneflower, goldenrod, and milkweed. For a complete list of native plants and flowers, we carry please click here. Bees love these flowers the best: bee balm, coneflower, fennel, goldenrod, hosta, lavender, lantana, lobelia, salvia, sunflower, sedum, sweet alyssum, yarrow, and zinnia. Bees love blue, yellow and purple flowers. Shallow blossoms like daisies, asters, zinnias and Queen’s Anne’s Lace are their favorites. Notice, they are not so interested in red flowers, like hummingbirds are. Plant flowers so that you have something blooming year-round. For early spring, plant forsythia, in the summer try St. John’s wort, in the fall plant pansies, and make sure your landscape has camellia’s for a winter bloom. Add fruit trees such as apples, lemon, pears, plums and cherry trees. Plant vegetables and herbs and allow some of them to go to seed, such as lettuce, garlic chives, and broccoli. Learn to love weeds especially dandelions, clover, milkweed, and goldenrod. Bees thrive on single flowers …those with one ring of petals. Those provide more nectar and pollen than double flowers. Bees are more attracted to flowers that grow in clumps. Plan your garden so something is always in bloom. Plant one square yard of the same kind of plant. Plant your garden in bright sunny areas. Reduce the size of your lawn to add more bee friendly plants. Provide shelter by leaving pieces of old wood to make nests in. Offer them fresh water by floating a piece of wood for landing in your bird bath. Add a bee hive or a bee house to your garden. Limit the use of insecticides. Instead of spraying for mosquitoes, use multiple pots of lemon grass, citronella and lemon balm. Spray plants that have an insect infestation with insecticidal soap, which won’t hurt the bees. One honeybee colony has a foraging range of 18,000 acres. It takes 12 bees their entire lifetime to make a teaspoon of honey. Honey bees visit 2 million flowers to make one pound of honey. Honeybees fly 12 to 15 miles per hour and flap their wings 12,000 times per minute. Honeybees are covered in hair designed to trap pollen. Even their eyes have hair on them. A strong hive may contain up to 60,000 bees. Don’t be afraid of the bees…enjoy them. It’s fun to watch them fill their tiny legs with bright yellow pollen and take it back to their hives. Observe them, photograph them, and encourage them to live in your garden. Do you want to learn more about adding bees to your South Carolina garden? Check out this article put out by the Clemson Extension Office on Native Bees. Here at Wingard’s Market, we specialize in providing outstanding customer service, offer professional gardening advice, and answers to your everyday gardening questions. Stop by and visit our beautiful Gift Shoppe, Fresh Produce Market, and take a stroll under century-old pecan trees through our Garden Wonderland!